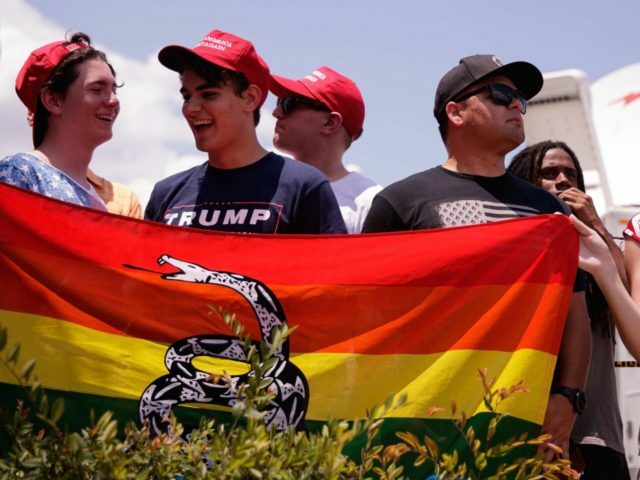 CLEVELAND, Ohio — Donald Trump made history on Wednesday night, not just by accepting his party’s presidential nomination, and not just by delivering the longest speech in party convention history, but also by embracing both gays and evangelical Christians in the same address. Trump stood up for gays against radical Islamic terrorism, and later thanked evangelicals, promising to repeal the Johnson Amendment, which prevents churches from endorsing political candidates. The relevant portions of Trump’s speech follow. Only weeks ago, in Orlando, Florida, 49 wonderful Americans were savagely murdered by an Islamic terrorist. This time, the terrorist targeted LGBTQ community. No good, and we’re gonna stop it. As your president, I will do everything in my power to protect our LGBTQ citizens from the violence and oppression of a hateful foreign ideology. Believe me. At this moment, I would like to thank the evangelical and religious community because I’ll tell you what, the support they’ve given me, and I’m not sure I totally deserve it, has been so awesome and has had such a big reason for me being here tonight. True, so true. Note the touch of humility in his appeal to evangelicals: “I’m not sure I totally deserve it.” The crowd liked that one.